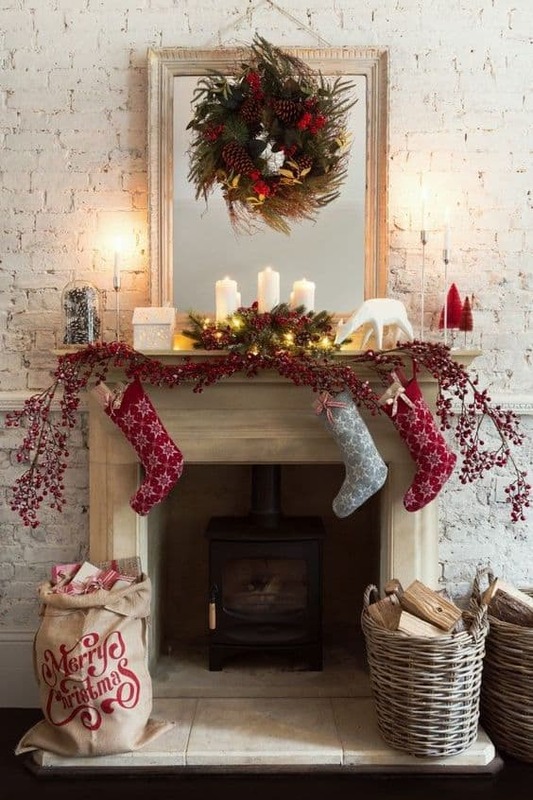 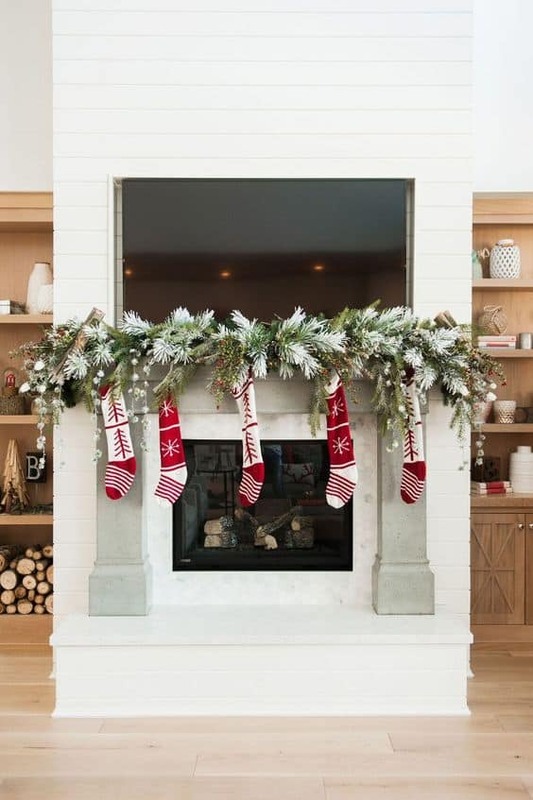 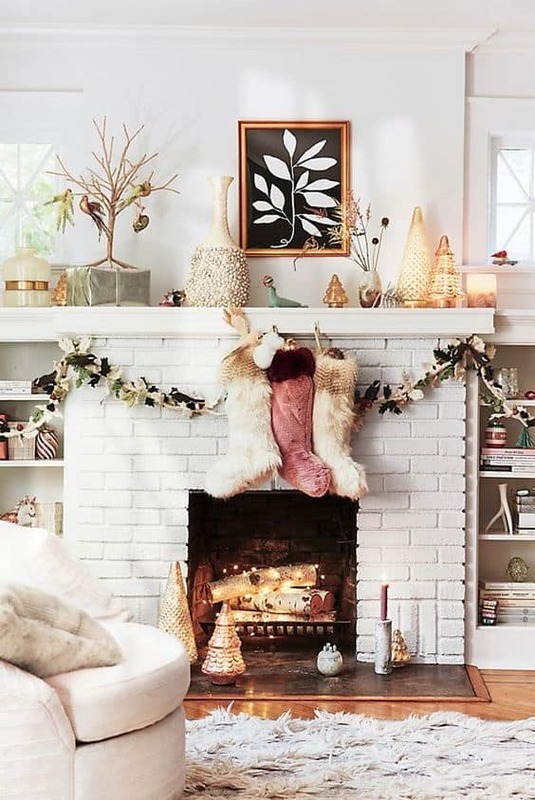 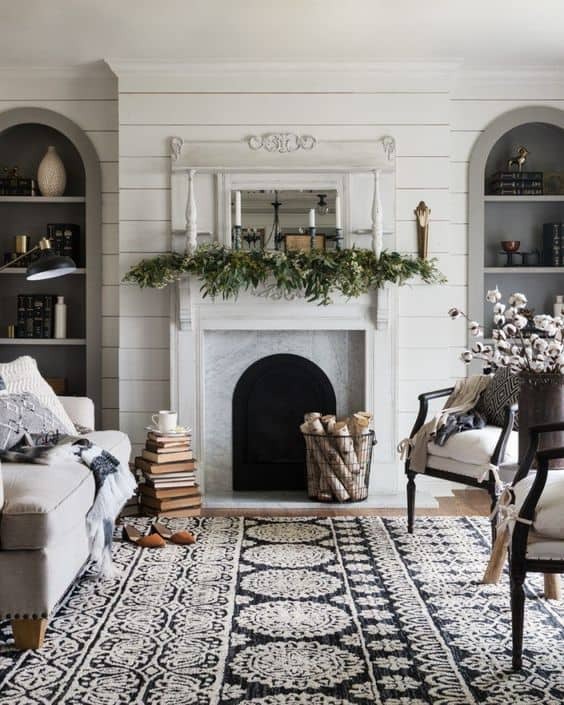 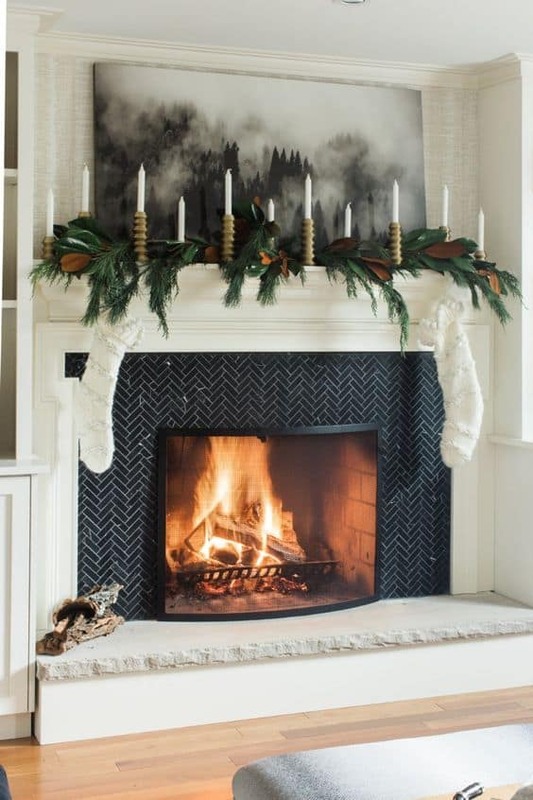 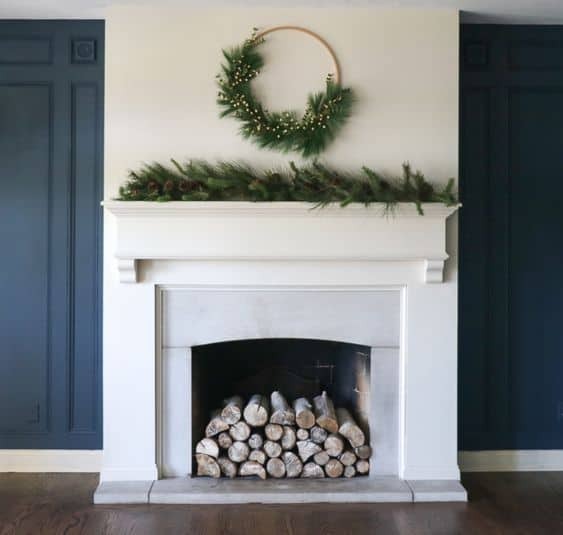 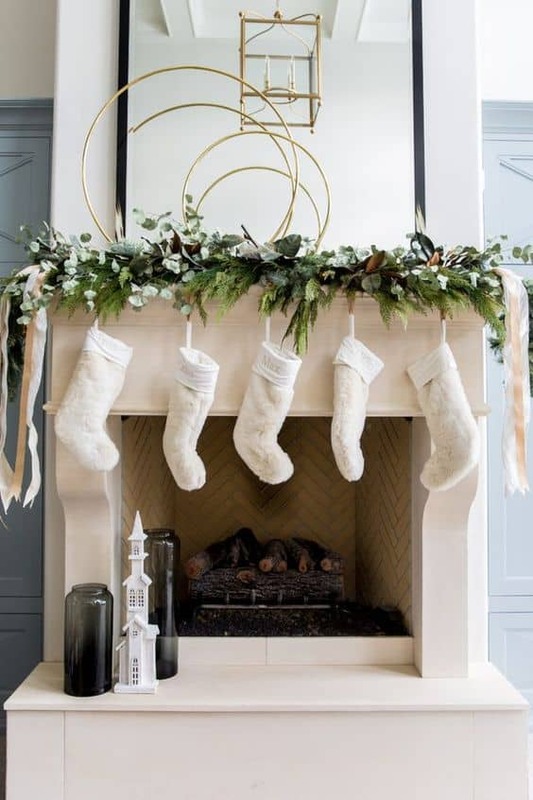 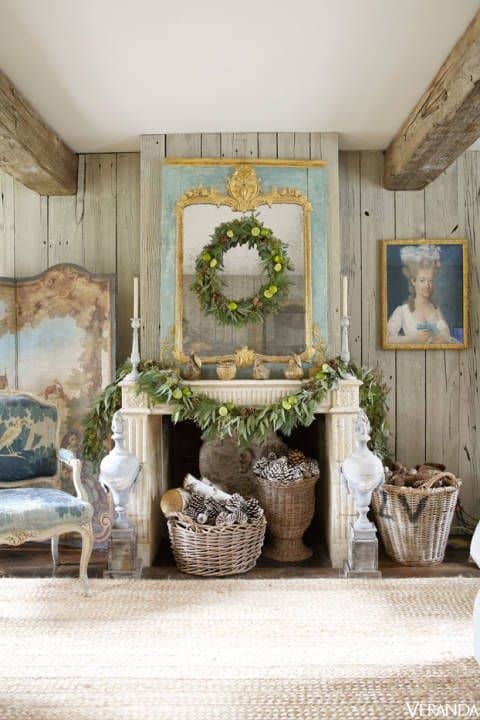 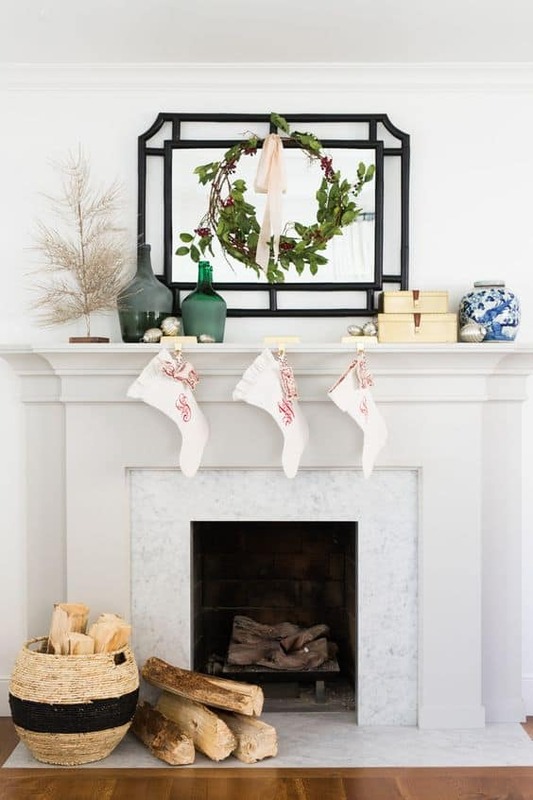 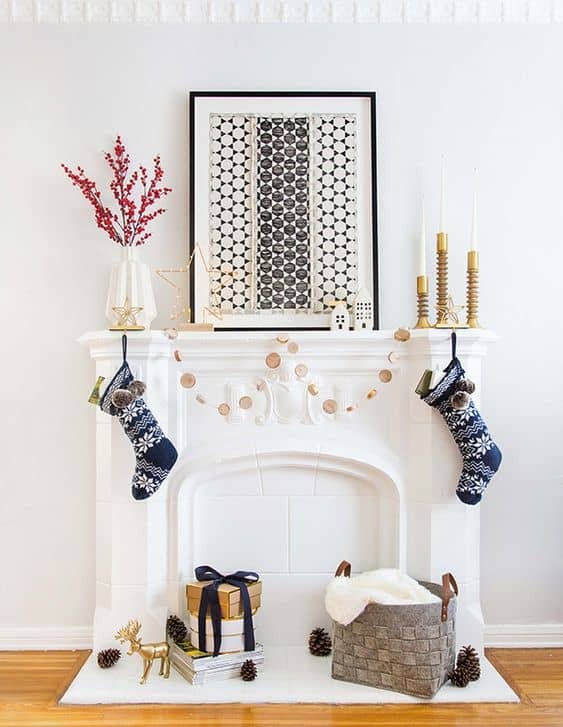 Inside : Christmas mantle garland ideas you’ll love. 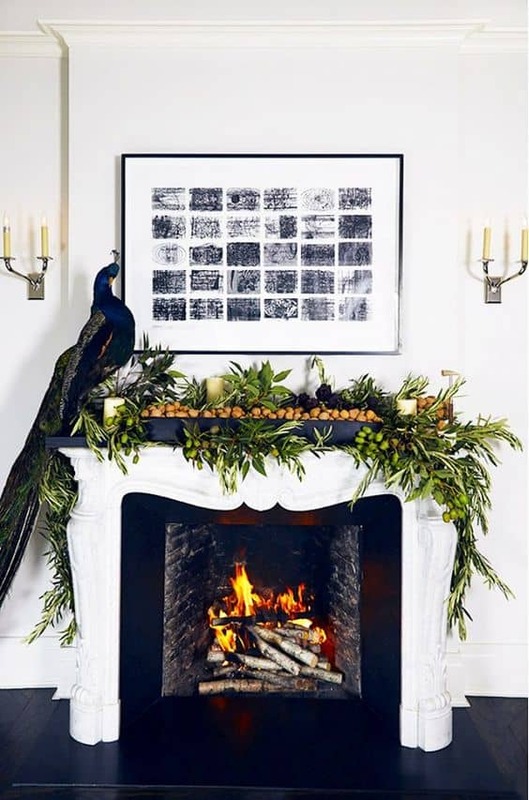 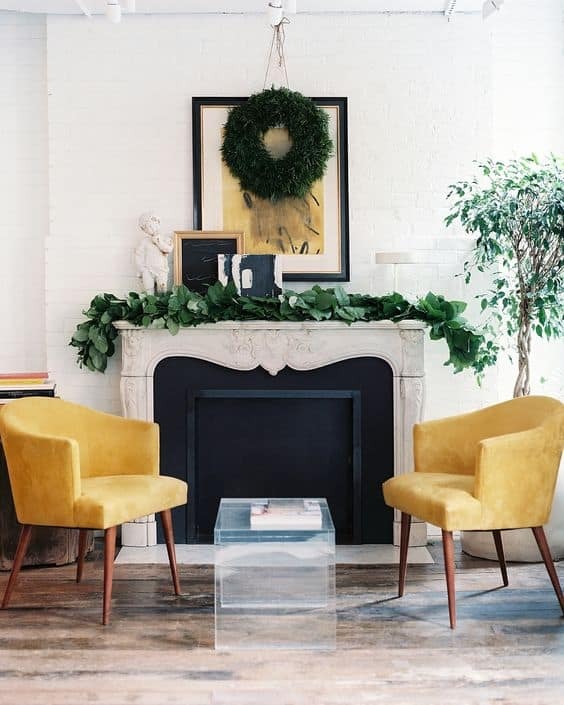 Get some holiday decorating inspiration! 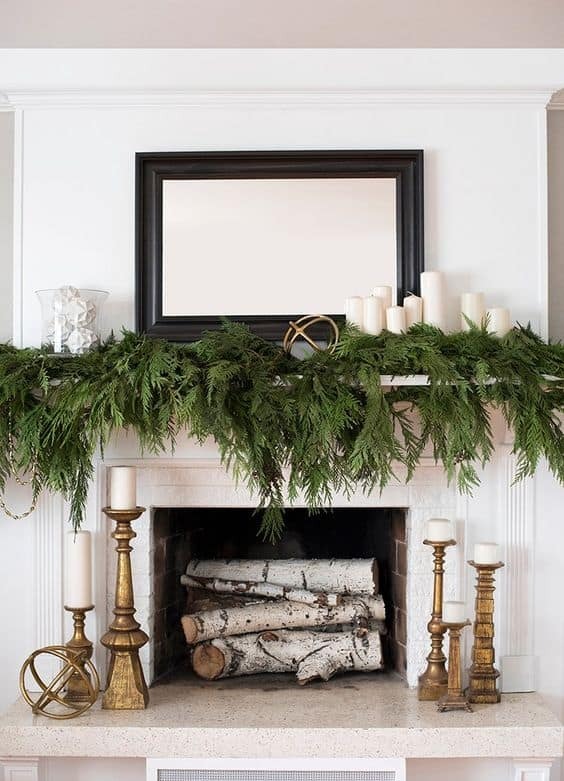 If you’re anything like me after Halloween, you start thinking – how early is it to start decorating for Christmas? 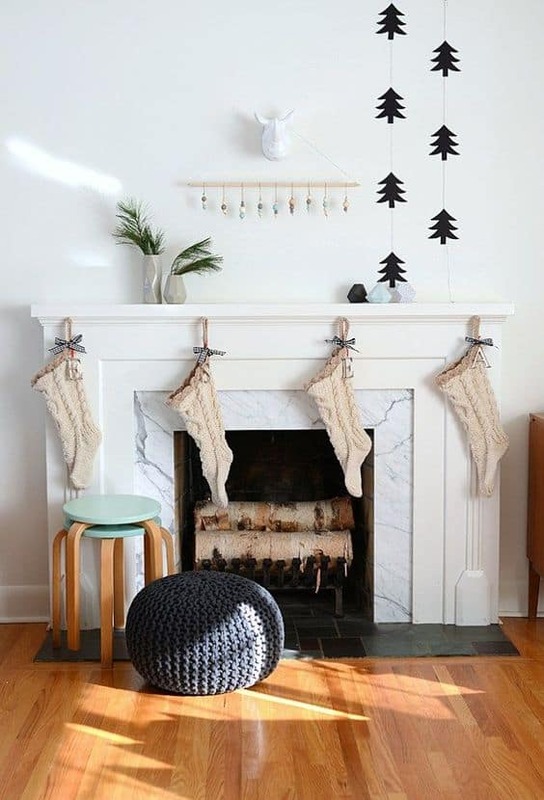 When can we put that tree up? 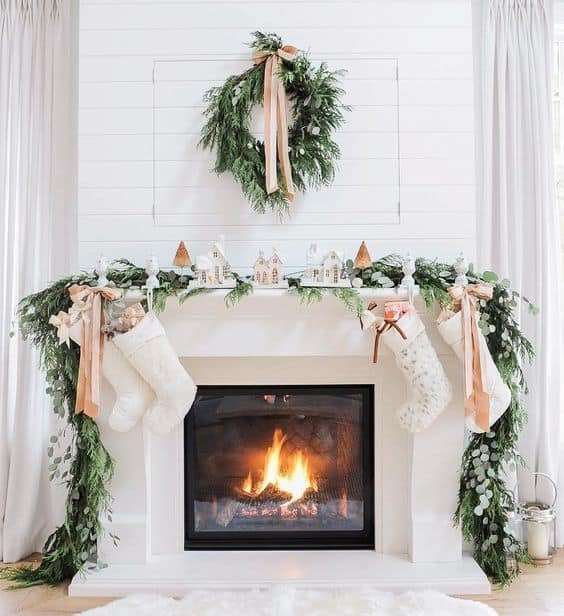 I don’t think there is any right or wrong answers here. 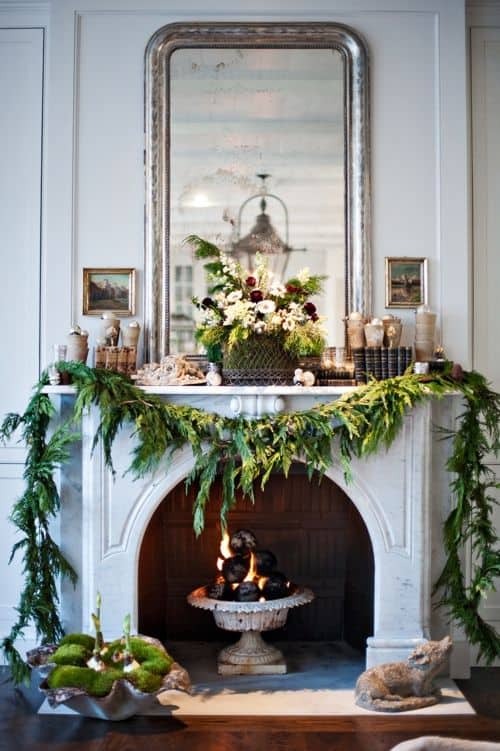 Most people have their own traditions for holiday decorating. 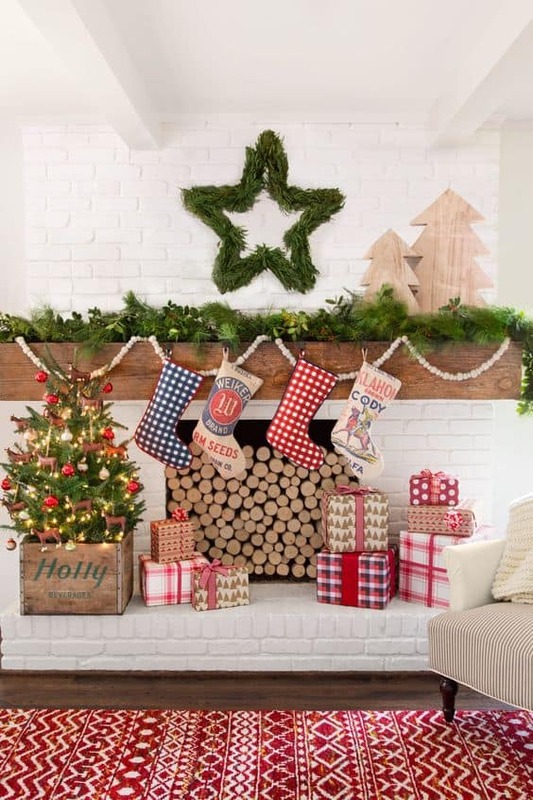 I’ve actually already seen some Christmas lights on the neighbors homes already! 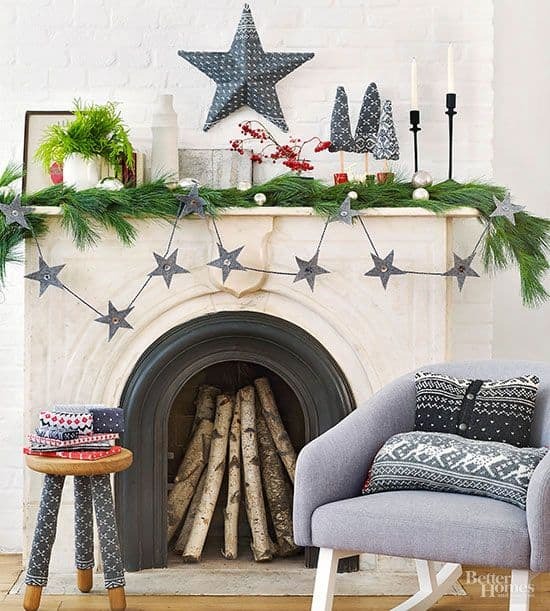 And we all get bombarded through the media and larger department stores. 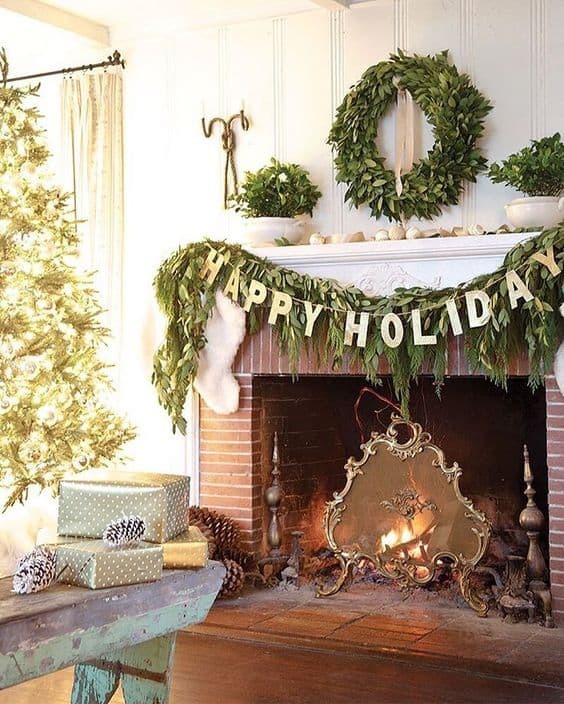 Hallmark Christmas has even started. 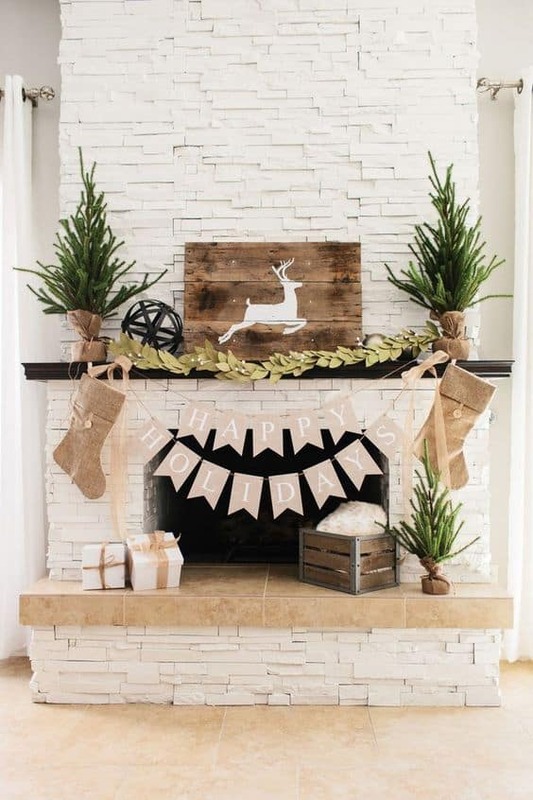 It’s hard not to get the itch to start decorating. 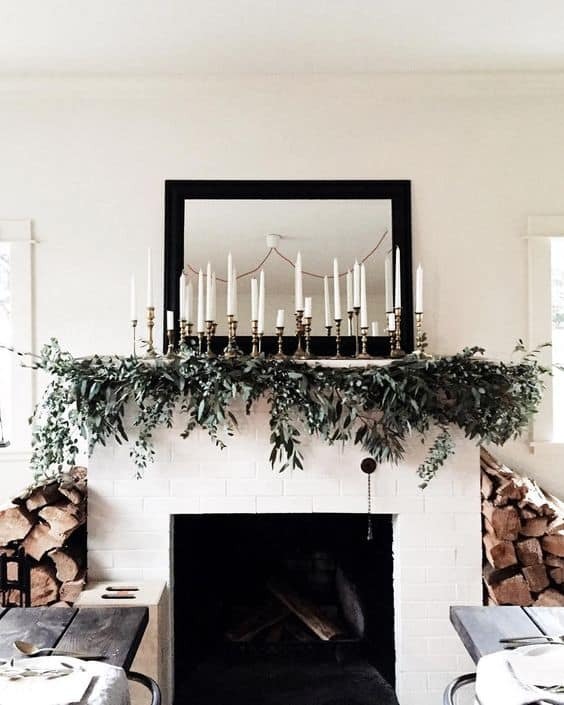 All images are sourced below.